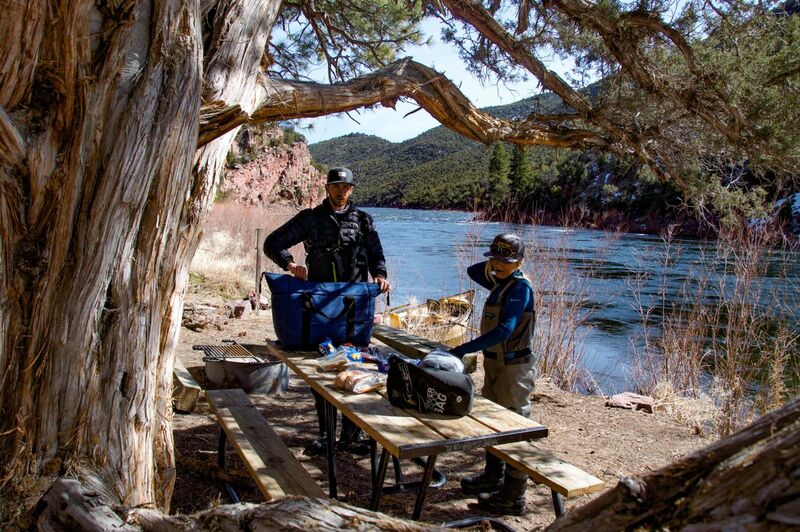 Located where the high sage plains of southwestern Wyoming sweep into the mountains of northeastern Utah along the course of the Green River, Flaming Gorge is home to hundreds of developed campsites. An excursion to this stunning environment can only be enhanced by sleeping out under the stars. 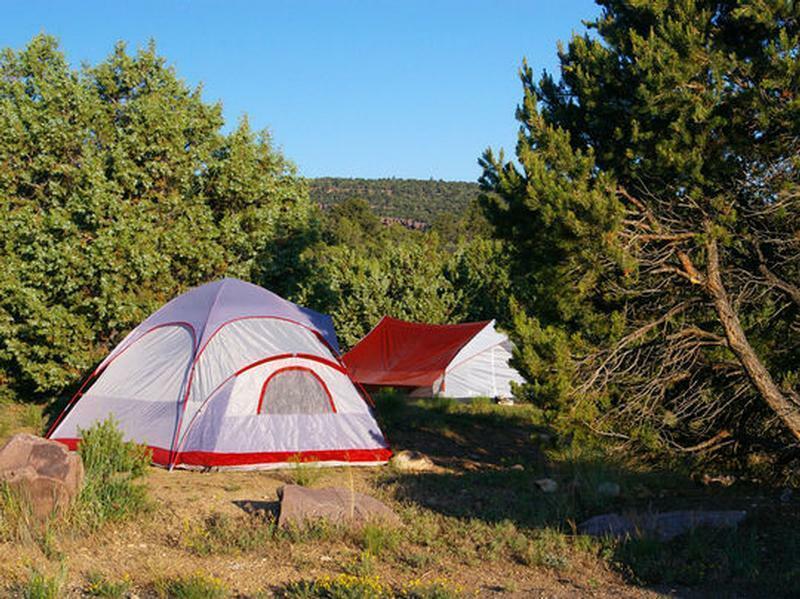 Staying at any of these five campgrounds near Flaming Gorge Reservoir will ensure time spent here with family and friends will soon not be forgotten. The Lucerne Campground is located on Linwood Bay and sits adjacent to the Lucerne Marina, just a few miles from the town of Manila, Utah. Centrally located amid the 91-mile length of the reservoir, Lucerne Campground is the perfect place to base your adventures to this wildly diverse and scenic country. Recently updated, Lucerne offers power outlets, asphalt pads, picnic tables, fire rings, flushing toilets, running water, and showers. Quick and convenient access to the lake gives you maximum time on the water. Visitors here take advantage of fishing, boating, water sports, swimming, and paddling. 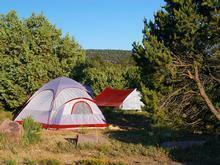 Situated in a forest of pinyon and junipers near the southeast end of the Flaming Gorge Reservoir is the Mustang Ridge Campground. This less-crowded side of the lake offers a chance to stretch out and relax. Equipped with water, flushing toilets, showers, fire rings, tables, and group sites, Mustang Ridge is located less than a half mile from a boat launch and the Sunny Cove Day Use Area (one of the best swimming beaches around). A stay at Mustang Ridge will maximize the opportunities for fishing, boating, watersports, swimming, and paddling. Perched 1,400 above the lake on the edge of the stunning Red Canyon is the Canyon Rim Campground. Surrounded by ancient ponderosa pines the campground is set within a subalpine meadow where wildflowers bloom in abundance every summer. The campground is equipped with tables, fire rings, water, and pit toilets. Visitors here are treated to hiking the Canyon Rim Trail, stunning views of Red Canyon, wildlife viewing, fishing and paddling Greens Lake, Red Canyon Lodge Restaurant, mountain biking, horseback riding, and the Red Canyon Visitors Center. For a unique and exceptional camping experience check out the Hideout Canyon boat-to site. Located two miles from the nearest road, this camp is best accessed by boat. Load up the boat or paddle kayaks, SUP’s, or canoes and head to this remote location once used by Butch Cassidy and his gang. Hidden between the landmarks of Flaming Gorge and Red Canyon this facility is equipped with cabanas, fire rings, flushing toilets, running water and a boat dock. Visitors can take advantage of the fishing, hiking (to Dowd Mountain), boating, water sports, night skies, and paddling. A retreat to the subalpine terrain of the Uinta Mountains can’t be beat with a stay at the Browne Lake Campground. Located off the Sheep Creek Scenic Byway the campground sits adjacent to Browne Lake in a stand of aspen and spruce trees. The sites offer tables, fire rings, grills, and vault toilets. Fishing for rainbow and brook trout is popular on the lake as well as non-motorized boating. ATV and hiking trails are located nearby and offer a variety of adventure options. Browne Lake also offers access to the high terrain of Leidy Peak, 12,028 feet for those willing to make the hike. 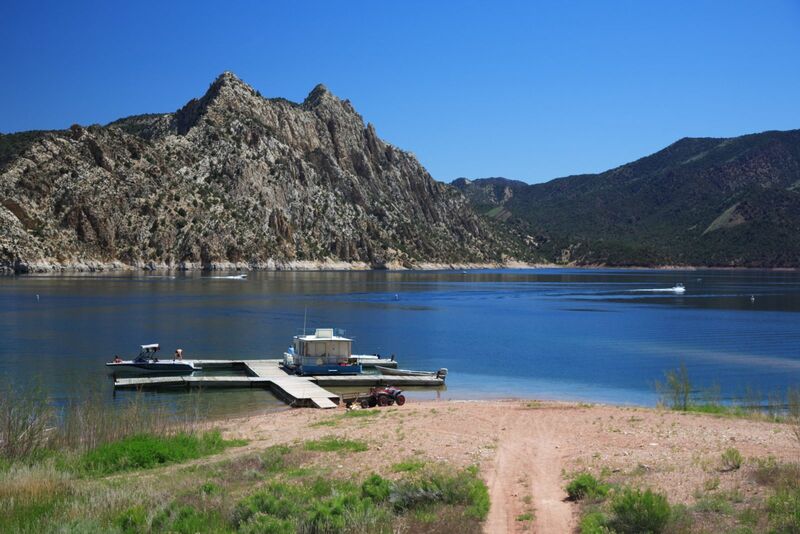 Whichever campground you choose, you’re sure to have a blast discovering and deepening your love with the Flaming Gorge area. There’s nothing like sitting around the campfire after a day filled with fun and adventure and gazing skyward into the brilliant night sky. You’ll find a whole new appreciation for the gorge. Thank you for visiting http://www.flaminggorgecountry.com/flaming-gorge-campgrounds! Be sure and revisit flaminggorgecountry.com frequently for content updates and more.